As an emerging leader in connectivity and networking solutions in the UAE, Hutaib Infotech Solutions strives to offer future-ready wireless hotspot solutions. 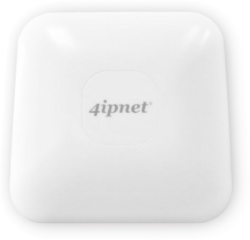 The 4ipnet HSG260 is the all-in-one wireless hotspot gateway for your emerging business. With a speed of upto 300 Mbps wireless hotspot is best for short range Wi-Fi access through single point gateway – such as in coffee shops, restaurants or showrooms. Using the HSG327, businesses in the hospitality and small business sectors can easily get new patrons on-board. Worried about ‘Wi-Fi squatters’ who stay for long at the coffee shop but don’t purchase anything? This gateway allows for limiting free access for a certain duration or volume. Want to transform your store or showroom to an instant hotspot? 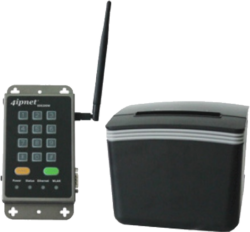 Then look no further than the wireless ticket generator offered by 4ipnet. It allows you instantly create wireless tickets at smaller spaces such as lobbies, airport lounges, coffee shops or restaurants to guest patrons. To make their lives convenient, they can also log in using QR codes from their smartphones. 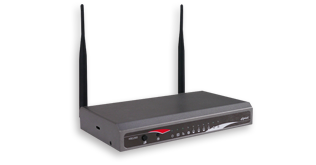 The WTG2 is ideal for smaller establishments that want to offer fiery fast internet to store visitors. The system is designed keeping in mind the convenience of business owners and guests. It is very easy to set up and removes all hassles of having a skilled or senior IT professional look after its installation. Also a great technical support team helps to resolve any problems remotely, thus saving you substantial overheads associated with technician visits and subsequent downtime. Want to know more about the benefits these wireless hotspot gateway solutions can offer to your business? Please contact us. Our experts will walk you through the Products and Solutions to keep you ahead of the curve.